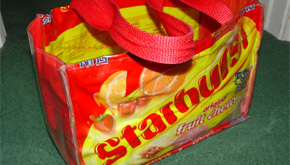 So I was at a craft fair a few years ago and saw a Starburst Purse. It was a super cute purse actually made out of Starburst bags. 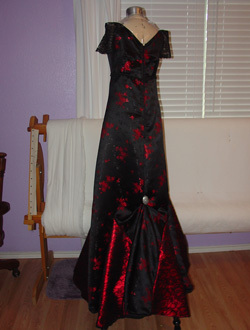 It's sewn with clear vinyl and purse strapping. I bought the purse just so I could see how it was made. Seemed simple enough and then I tried to make one. Holy crap it was hard. Turns out you need a special vinyl foot for your sewing machine. I got that and now it is SOOOO easy to do. 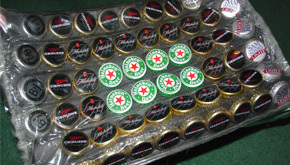 The Bottlecap Purse took me a few years to collect enough bottlecaps to make the purse. It turned out really great but it is pretty heavy. 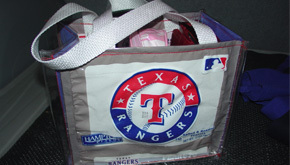 The Texas Rangers I made out of peanut bags. I just dumped the peanuts out to eat and then used the bags for the sides. Love that one! I got to go to a Twilight Convention and got to meet some of the super cute actors. 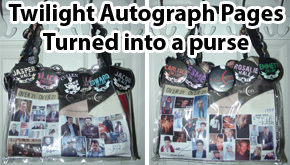 I made autograph pages and then after they were signed I made copies, resized and reprinted them and then turned them into a purse. The buttons were bought by my mom for added flair. (This is a reference to the movie office space - What a great movie!) 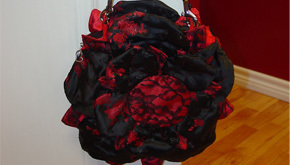 And the last one is a Rose purse. 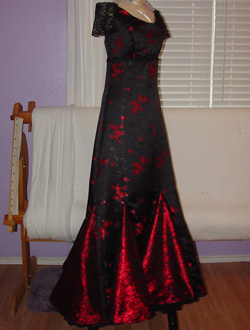 I made it to match a dress I wore to the Twilight Movie Convention. This one took me FOREVER and I completely want to put it behind a shadow box with special lighting, barricades and maybe an armed guard.